Are you looking to connect more with people in the church? Join one of our small groups! 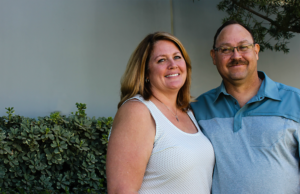 Join Tom and Lesley Pechatsko each week in South Corona for their small group where they have fun as they study the Bible and fellowship. Teens are also provided a separate small group which is lead by the Youth Minister, Justin Hill. This group is open for couples, singles, families. Children are welcome and childcare is provided. WANT MORE INFORMATION? Contact the small group leader Tom Petchatsko.